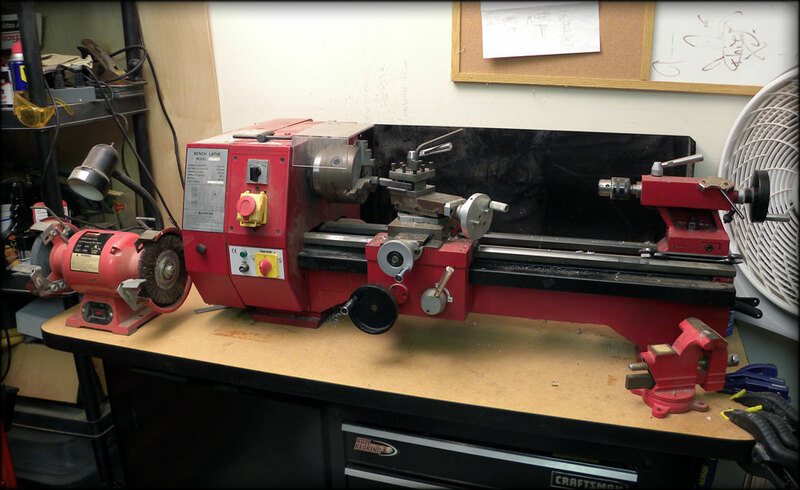 My main tool is a "prestige" bench lathe, 9x20" perched atop a Craftsman workbench. Along side this you can see a grinder/wire brush setup to the left, and an array of clamps to the right. Plus a good fan for those hot Texas summers. To the left of my lathe, I have a toolbox set up with a 90 dollar Ryobi drill press, and a Prestige Micro Milling machine. 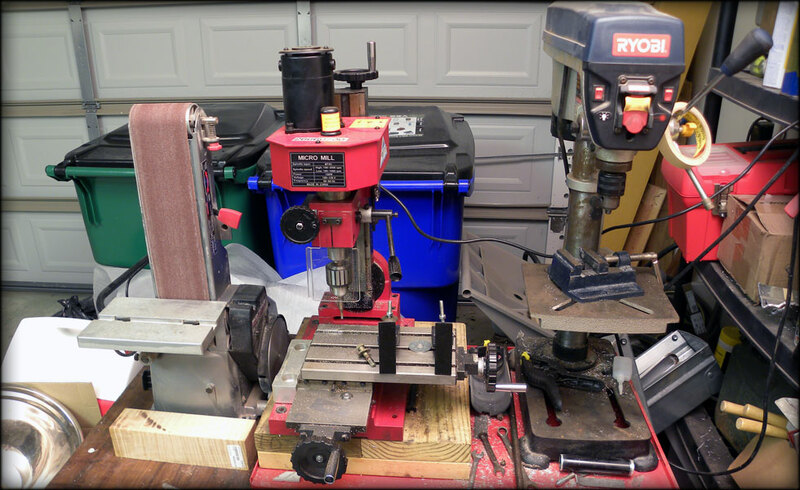 The Milling machine is the latest addition to the work area. To the left of that is a very handy vertical belt sander on a rolling table. Inside the toolbox under the drill and mill, I have a wide assortment of hand tools, tap and die sets, screwdrivers and dremel accessories. 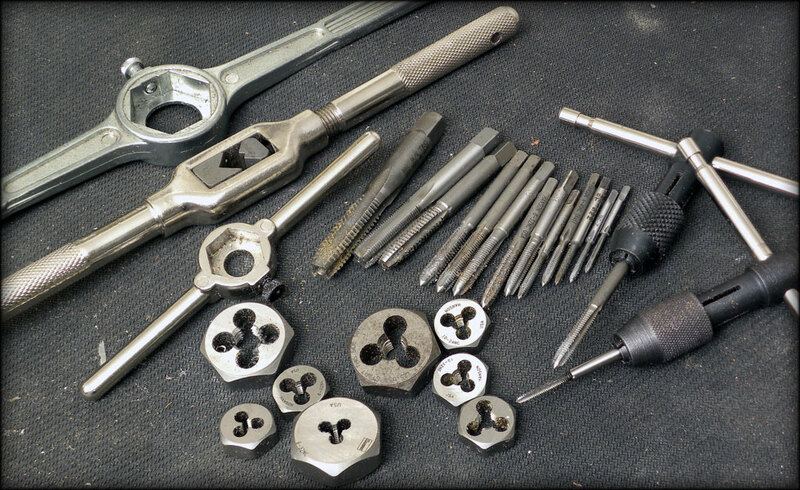 Most of the tools I have are not expensive, except for maybe the lathe and milling machine. 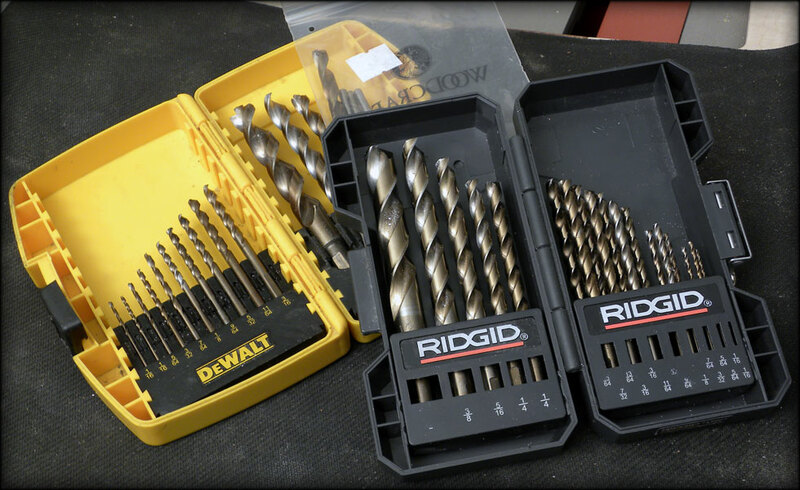 As far as drill bits go, every shop needs a set. I have two sets, one from DeWalt, one from Ridgid, both available at Home Depot or your local hardware store. I also have a bag of odd sizes I have ordered online for different purposes that weren't included in the two sets shown. I also keep a 3/4 and 7/8 bit for rough boring out stock. I have an odd collection of taps and dies, Most of these came in an Irwin tap & die set I got at Ace Hardware, the rest are either odd sizes I needed I found online, or individually from hardware stores. Ebay is also a great place to find specific sizes. 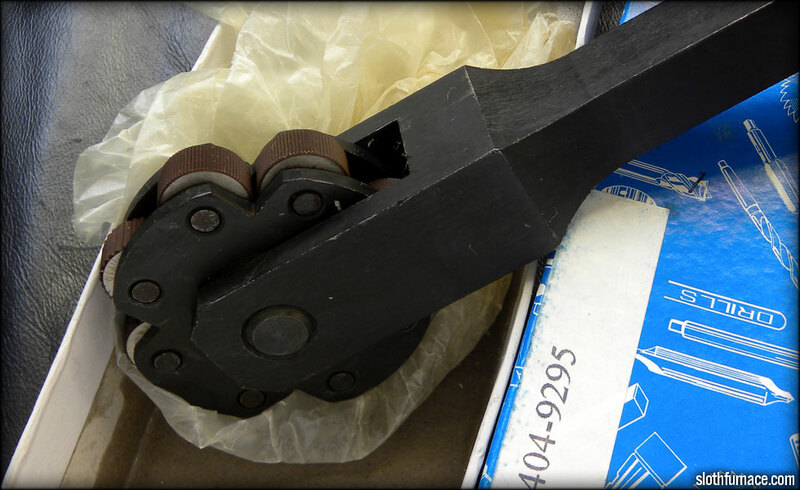 Just got in a new knurling attachment. This one does course and fine knurls both straight and diamond pattern. 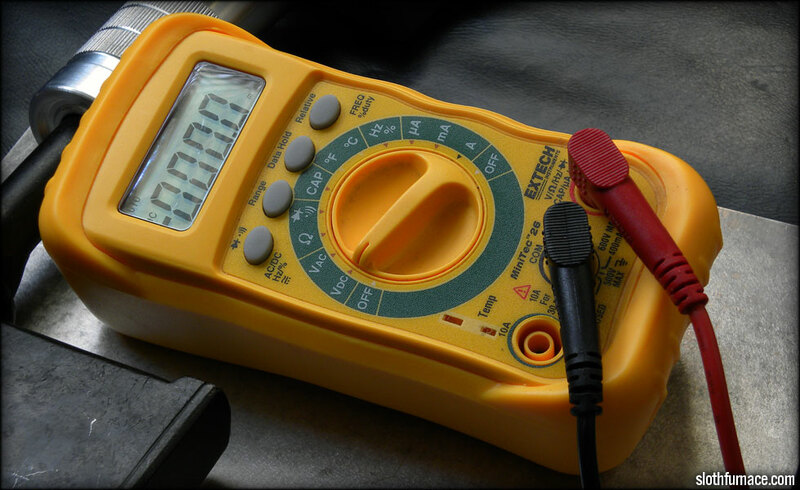 Also, a multimeter is essential for any kind of wiring job.